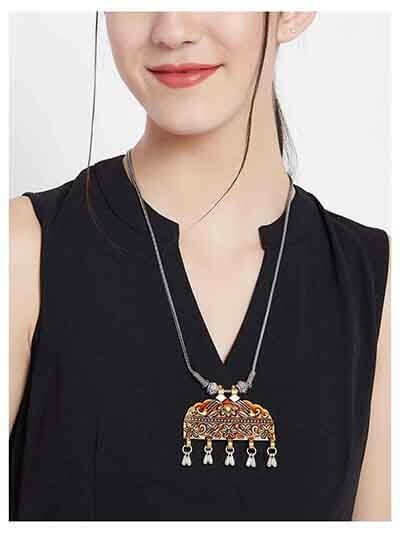 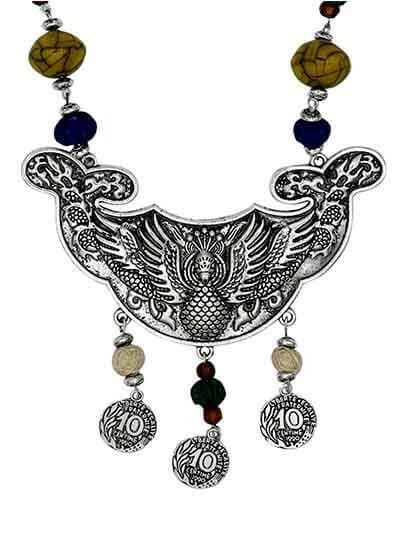 ZeroKaata, the best online jewellery store brings to you an exclusive collection of handmade silver tribal necklace and oxidized silver necklace. 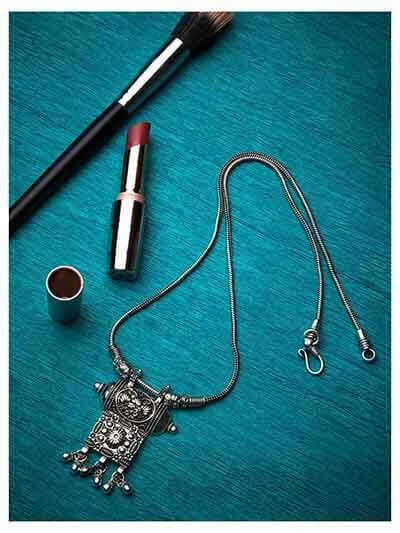 Crafted with love, finesse and an eclectic appeal, our tribal collection of necklaces will help you garner tons of compliments and much-needed attention wherever you go. 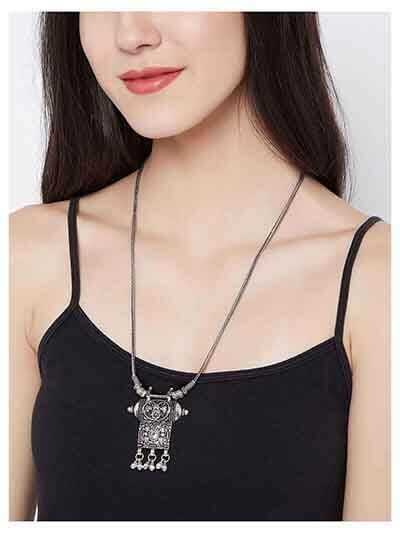 From chunky silver necklace to elegant pendant oxidized silver necklace and deity neck pieces, our collection of tribal necklaces has it all. 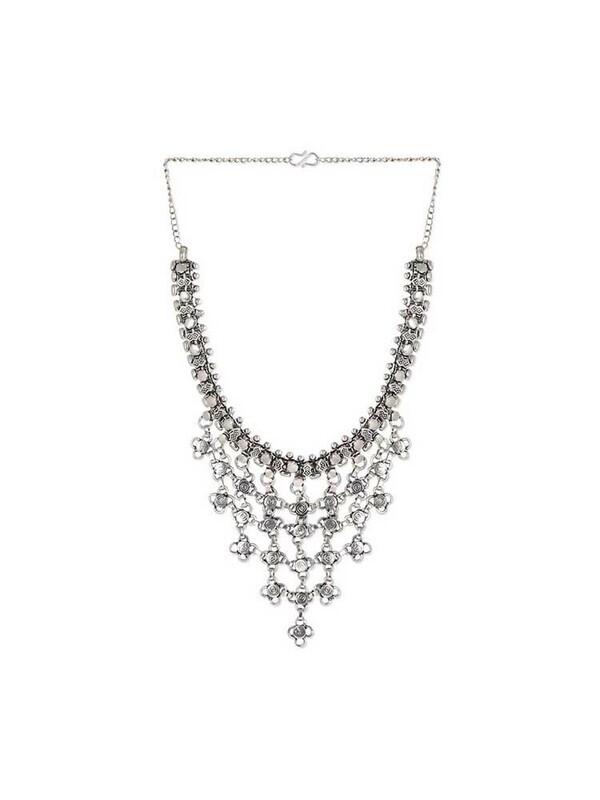 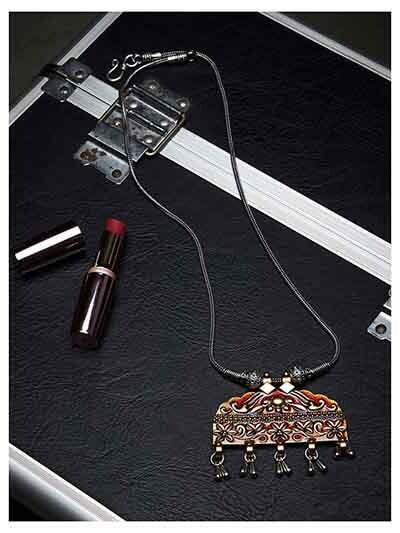 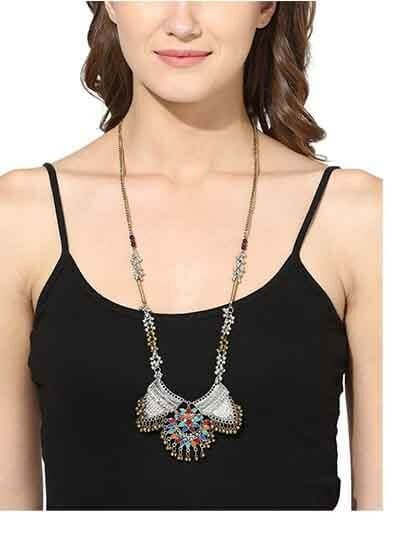 Bold yet sophisticated, our tribal necklaces collection is a sure-fire flatterer. 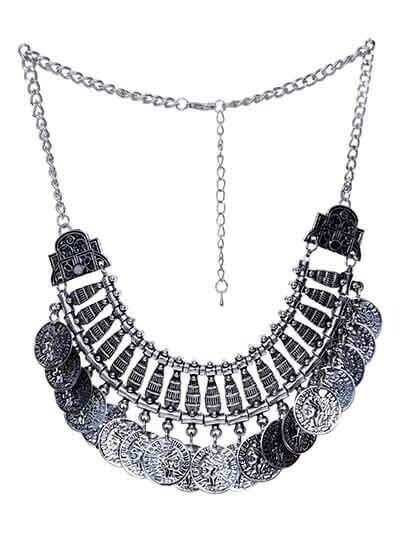 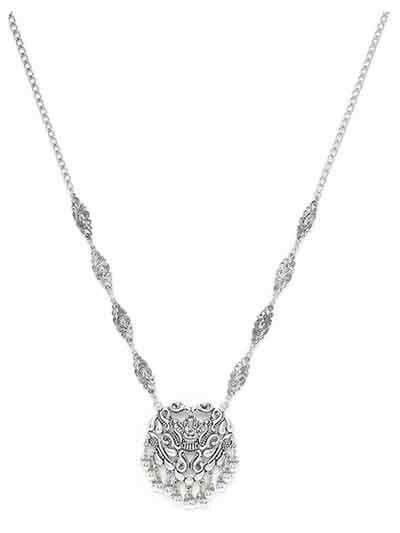 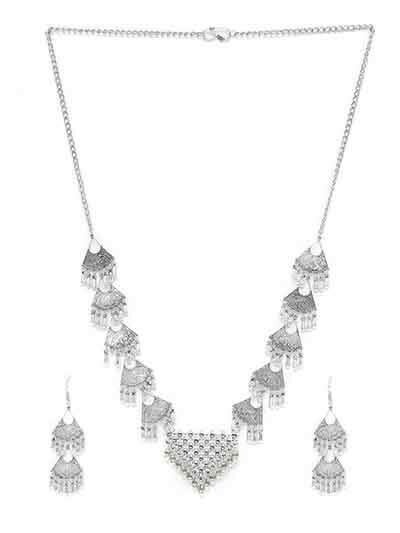 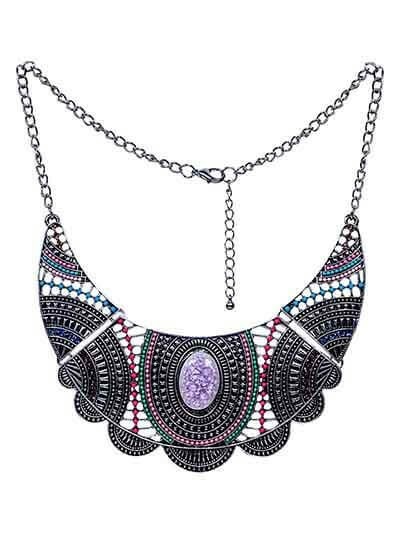 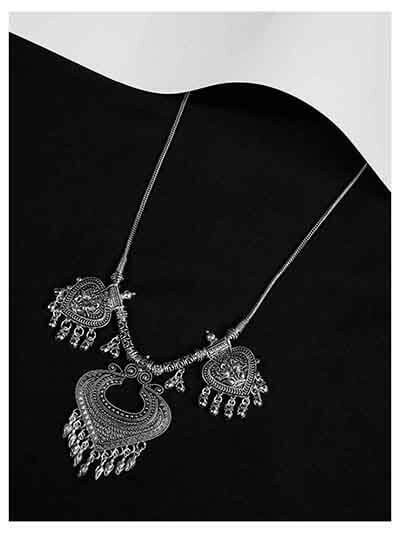 We have a wide range of designer silver tribal necklace, handcrafted with skilled craftsmanship and utmost precision. 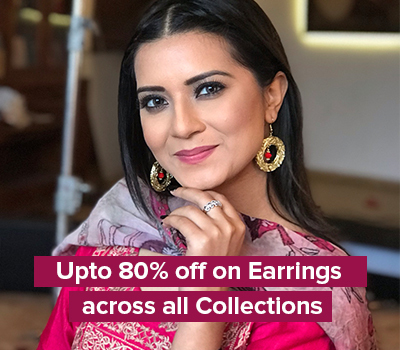 Be it a wedding, impromptu dates, casual soirees, office gatherings, family functions, weekend getaway or an ethnic event, we have a wide range of collection to choose from. 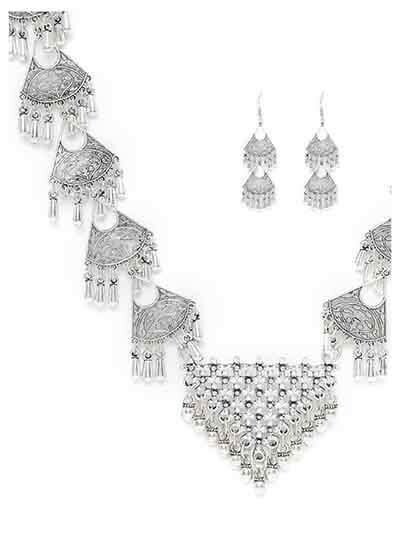 Shop the from the best online jewellery store and enjoy amazing discounts and offers. 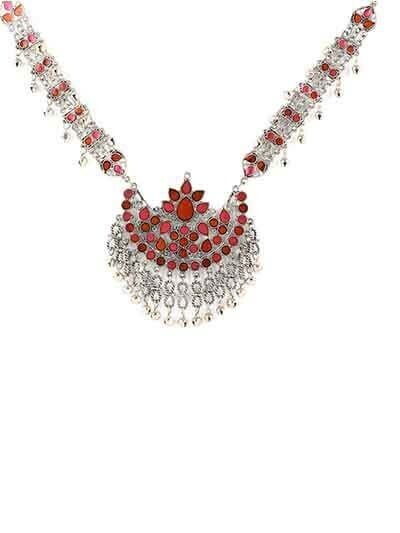 We aim to provide the best quality jewellery at un-matching prices. 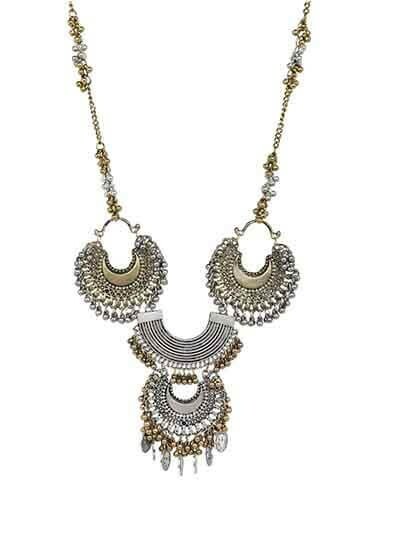 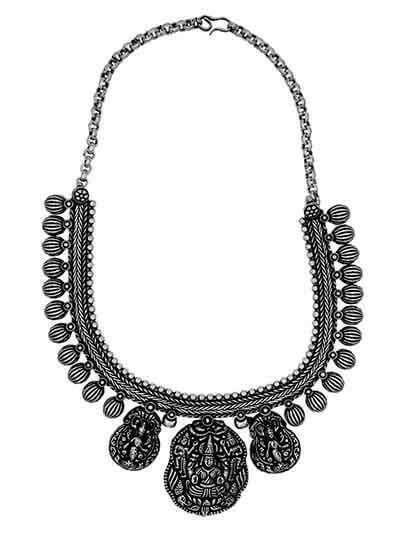 Embossed with metallic ghungroos, coins and much more, the intricate designing on our tribal necklaces will surely leave you spellbound. 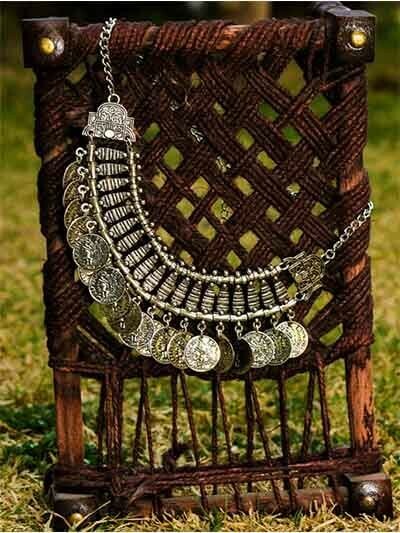 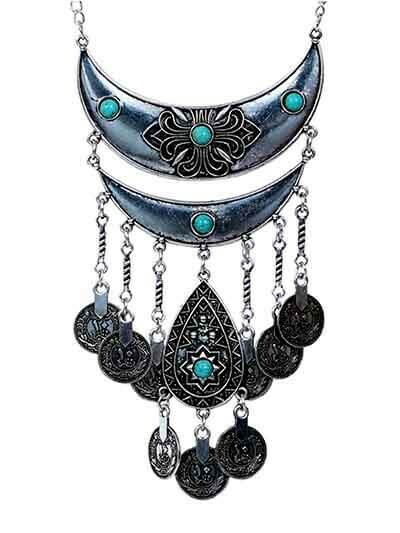 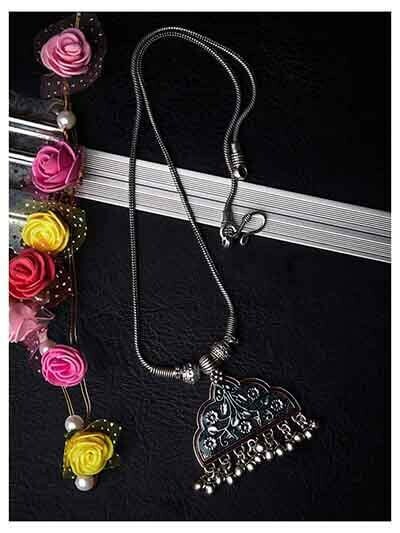 Choose from a plethora of designer silver tribal necklace, available in a wide range of colors combinations and designs. 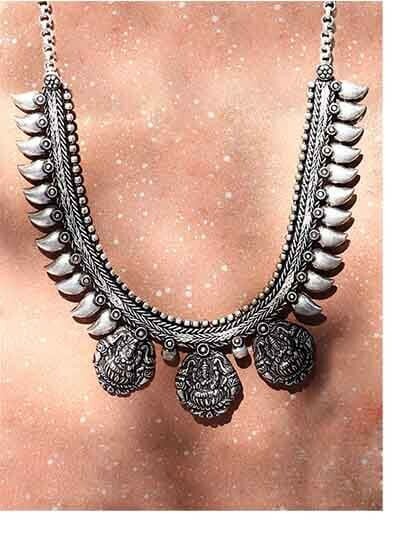 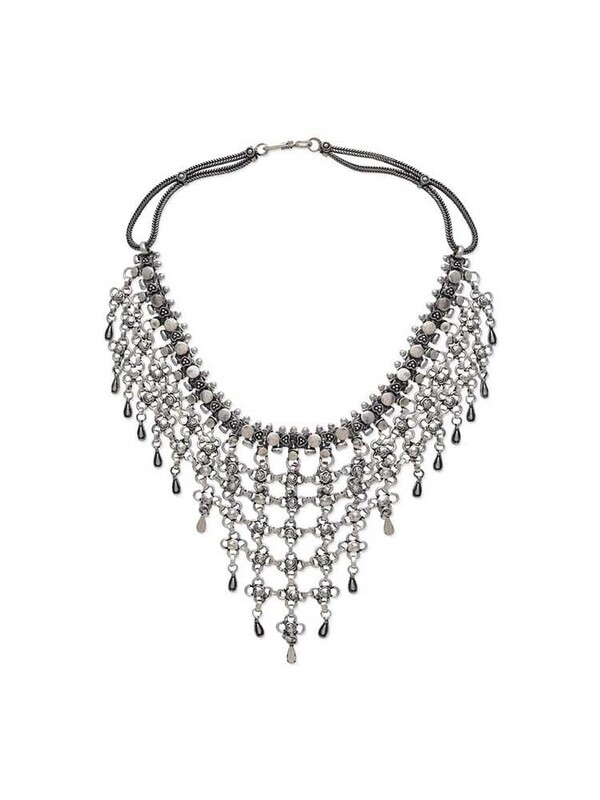 Our silver tribal necklaces are a perfect example of handmade creativity and sheer beauty. 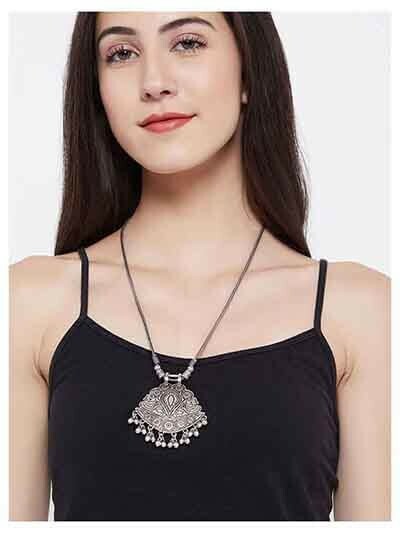 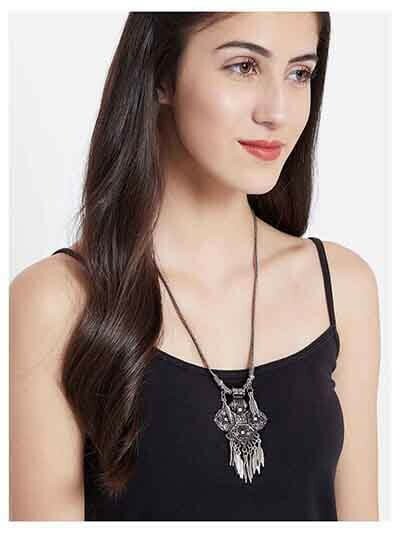 Made of skin-friendly material, ZeroKaata’s collection of handmade silver tribal necklace is easy on eyes, comfortable to style and perfect to be adorned at every occasion. 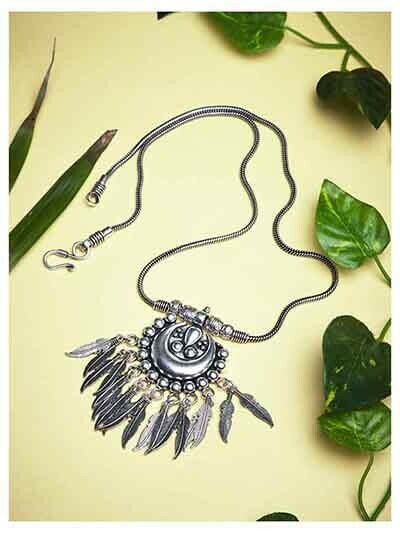 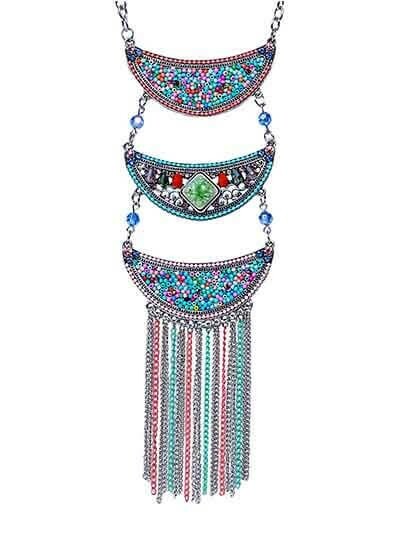 Shop online for necklaces from our handmade Tribal Jewellery Collection and seize the day almost effortlessly. 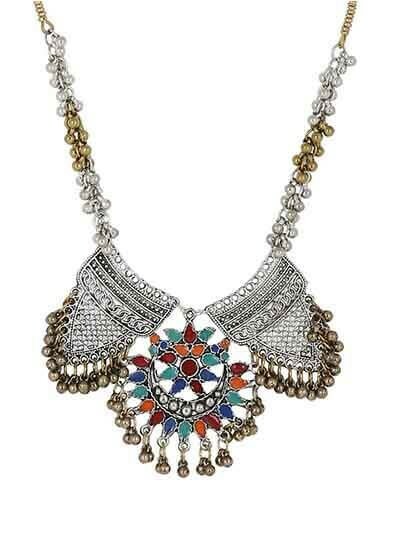 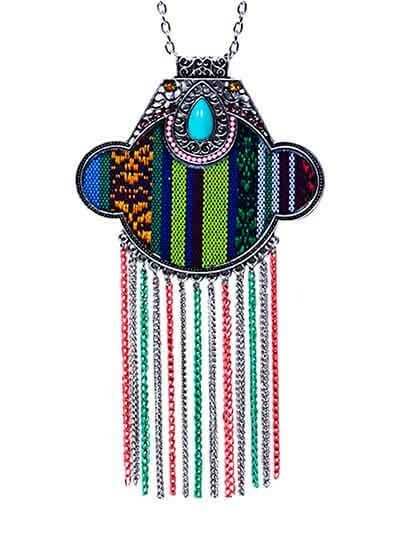 A perfect combination of fashion and eclectic touch, ZeroKaata’s beautiful handmade designs will leave you awestruck. 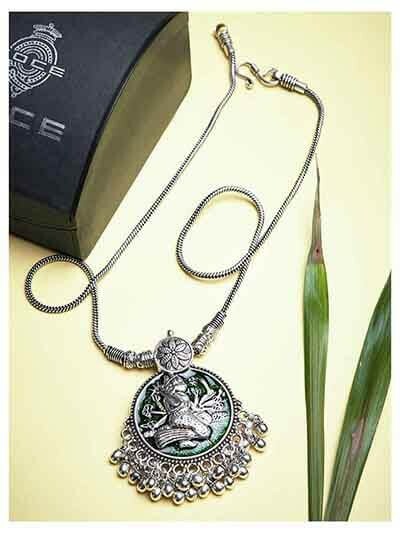 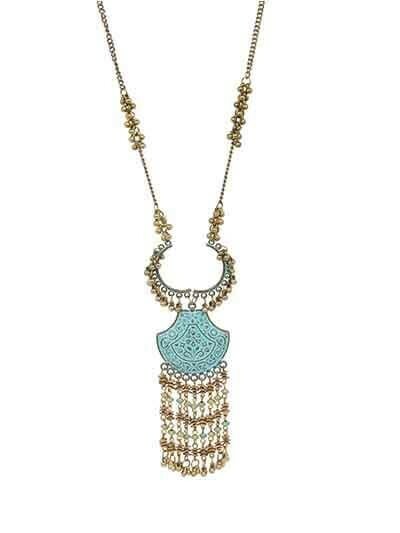 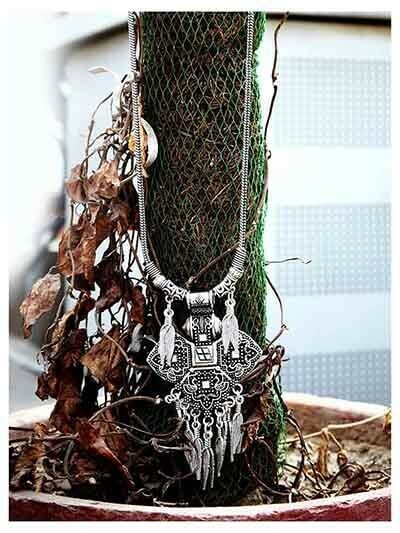 Revamp your jewellery closet with our unique and intricately crafted oxidized silver necklace from our designer collection of handmade jewellery and showcase your distinctive taste. 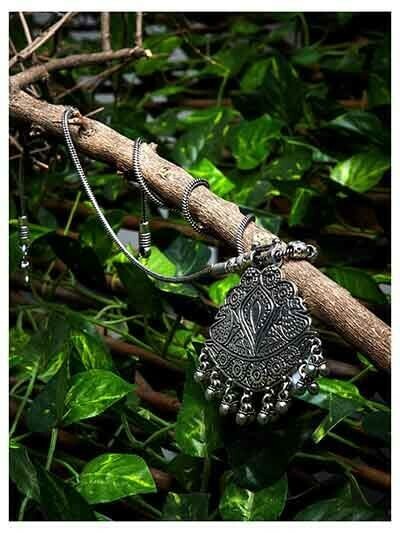 Shop now from our wide range of beautifully handmade oxidized silver necklace and sign up with us to get 15% off on your first order.